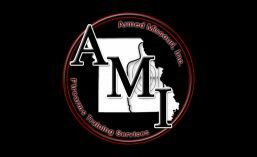 Host a Class | Armed Missouri, Inc.
What is Hosting: We are willing to travel to your location for many of our courses. A host plays an integral part in the success of these courses. As a host, you will be responsible for obtaining the necessary facilities for the course as well as other logistical support. As the host, your spot in the class will be free. How Hosting Works: You first need to check our Course Calendar to find a date that we don’t already have a course scheduled. Once you find a date, you should click HERE to request the course. Requirements: There are certain requirements for any course taught at an off-site location. Usually the minimum number of students for any remote class is 4 but could be more depending on the specific class and distance to the facility. The price of the course will be determined on a case by case basis. We will usually provide you with a cost per person for the minimum number of students that must cover our travel and lodging expenses. We will try but may not be able to accommodate your scheduling needs. Weekend courses usually work better but weekday courses are sometimes possible. The requirements for a classroom or range facility may vary from one class to the next. It would be best to email us if you have any questions about the facilities you can provide. We will provide a detailed list of the specific amenities the facility must have once we know what class you want. As a host, you are responsible for obtaining and paying for the classroom and shooting range facilities as well as collecting payments from each person in attendance. We will expect you to make the complete payment to us by check or PayPal at least 2 weeks prior to the date of the course. Remote classes will generally still be listed on our course calendar for open enrollment by others unless your group is large enough to fill the class to capacity. Remote courses can be made private (for your group only) for a small up-charge. Not all courses can be taught at an off-site location.